Continue reading to learn more about our system features. Behind each goal we assemble a 10 meter high post with four cameras mounted on it. An extra side camera can also be included if desired. Everything is set-up complete with power and internet, and neatly concealed. The video and software processing occurs on a 360SportsIntelligence server that we install at the club. In addition, as a club you get your own cloud space, so that you have full access to all footage. In the web application you have access to view all footage, plan your recordings, and give your users access. The system features include the ability to switch between the different cameras angles, draw over the footage, repeat a specific moment in the game, as well as increase or reduce the speed of play. With 360Tag you can mark the most important moments immediately during play, so your video analysis is ready to view after the game. 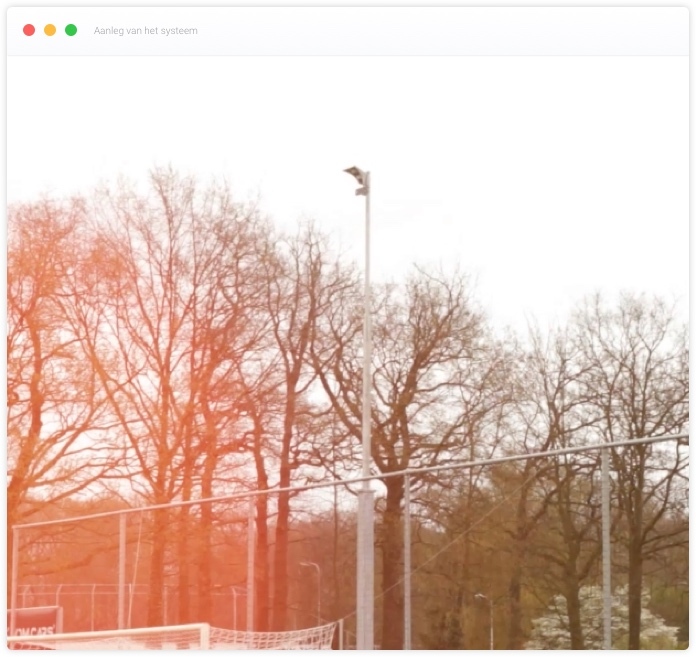 360Export allows you to export your competition analysis with the touch of a button, so you can easily share the video with your team or the outside world. No add-ons, but all-in. As a result of smart software all games are automatically summarised, you do not have to edit the footage anymore! These match summaries can be viewed straight after the game, and are displayed in the clubhouse on a large 55-inch screen that you receive from us. With 360Export you can also make video clips to share on the club website, social media, and with other interested parties at the quick touch of a button. The security of your footage is our priority. Unique content to display in the clubhouse. Summaries of all the games and all teams for you to use week in, week out. We ensure that all footage is stored securely for you. The club determines who is allowed access and how the material is shared. The possibility to include six different sponsor logos in the footage. The club can utilise these spaces to generate new income. 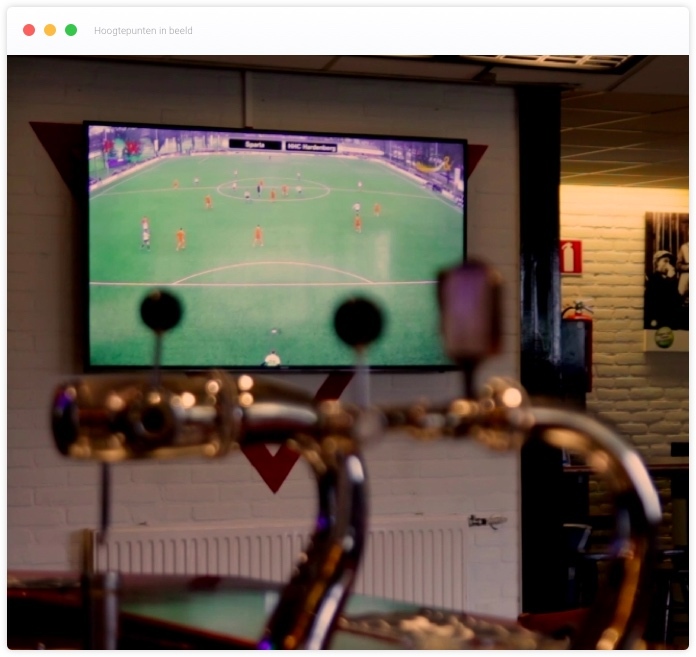 We offer you the chance to judge our video analysis system at your club, and view the images with your own eyes. 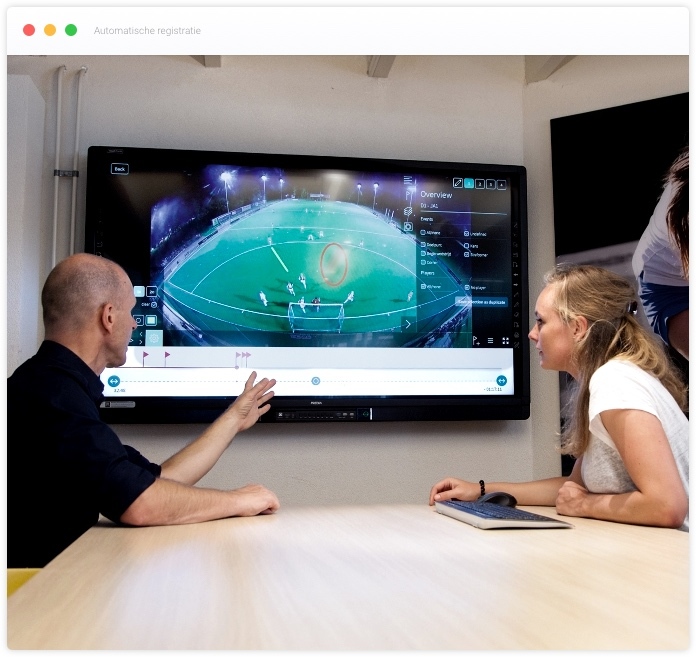 We would be happy to visit you on site for a free demonstration and convince you that 360SportsIntelligence will benefit your club.